Our Flat Cut Bronze Metal Letters are produced using powerful computers paired with the latest graphics software which work to reproduce your most complex ideas. Your letters and/or custom logos are then precision cut from high quality flat bronze sheet using state-of-the-art waterjet cutting equipment. 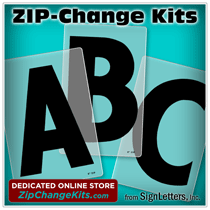 Your custom bronze letters can be completed using one of several high quality sign letter finishes.